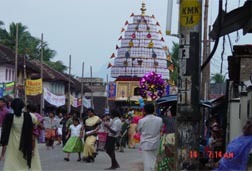 Kalpathy Viswanatha Swamy temple was built in 1425 A.D and is considered to be the oldest Siva temple in South Kerala. 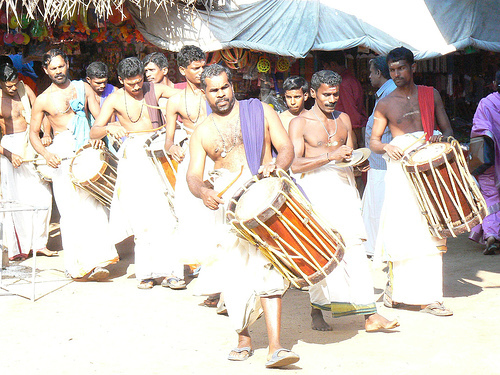 There are number of temples in Palakkad one attached to each of the 20 gramams in the town. The chief and most richly endowed is in Kalpathy dedicated to Lord Shiva, A low quadrangular temple on the banks of Kalpathy River. Legend has it that One Lakshmy Amma , a widow of Sekhari Puram came back from Kashi and gave the prince Itikombi Achan 1320 gold coins in 1424-25 AD and requested him to build the temple of Siva. Hence, saying " Kasiyil Pathi Kalpathy. " i.e. half of Kasi is Kalpathy. 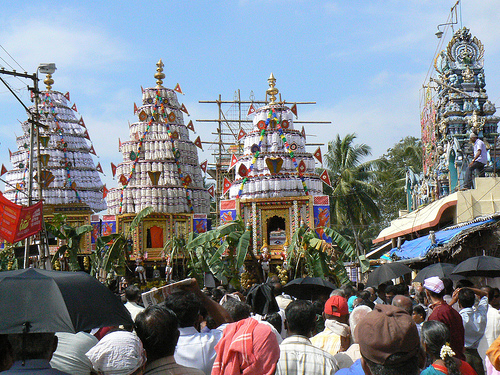 Another view regarding Kalpathy being linked to Kasi is that the main diety is Siva and the temple is on the banks of the Neela Nadhi just as Kasi is on the banks of the Ganges. 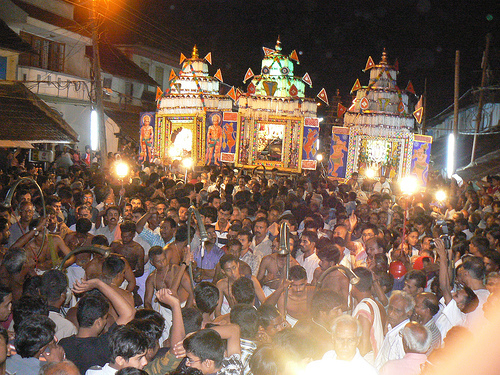 Ratholsavam (Chariot Festival) at Sri Viswanatha Swami Temple, Kalpathy Ratholsavam is a spectacular procession of beautifully decorated temple chariots drawn through the streets by thousands of devotees.